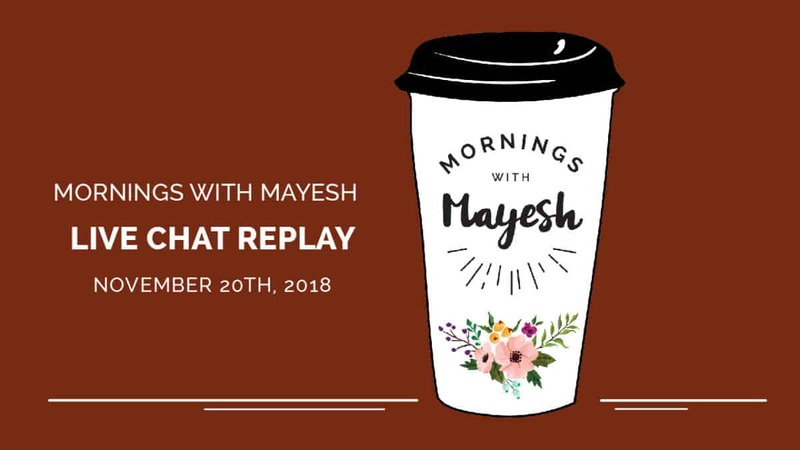 On this episode of Mornings with Mayesh, Shelley, Dave, and Yvonne answer your questions about seasonal flowers, Amaryllis care, attaching flowers to stucco walls, design advice for this fall season, foam free installs, and more. Save the date for December 11th at 10 am EST for our next show and keep on sending in your floral questions! Carrie: Since its amaryllis season, wondering if there is any way to speed up getting them to open? Opening time can vary depending on the stage they are cut but 3 to 5 days is usually sufficient. As with all flowers, planning your receipt time is crucial. There are quick dips and floral foods that can help stimulate flowers opening but nothing works better than having them arrive in plenty of time. Did you know that amaryllis, like many other bulb flowers, can be dry stored in a closed box in your cooler for up to a week or more? This means you can order them a week ahead and work them open with TLC. Ruth: With Christmas approaching, I was wondering how long to allow for amaryllis to fully open. Using them for a Dec. 22 wedding! I would plan for 3 to 5 days to fully open. Once they start getting close to the stage you want you can put them back in the cooler to slow their development. Best practice is to make a grid of tape over the opening of your buckets and try to get them standing straight up. Amaryllis are very top heavy when they open and have hollow stems that can crimp or crush from the weight of the open blooms if they are leaning at an angle. You might want to purchase some extra long hyacinth steaks or skinny bamboo poles to insert into the stems to give added vertical stability during hydration. The added sticks also make it easier to anchor the amaryllis stems into floral foam if you are using oasis blocks as your design medium. Carrie: What are good options for pinks and yellow florals in the December month when everything is red, green, white, gold and silver. Sharron: Is it difficult to get tall Pampas Grass with large plumes in the month of December in California? Although the season for fresh-cut Pampas grass has pretty much ended, we are now offering dried pampas grass. Those of you who have worked with dried Pampas grass know how it can shed so get your surface sealer ready! Melissa: Since dried flowers and greens are coming back in style, do you have any tips for handling them? I feel limited with their inflexibility and worry if I pair them with fresh flowers in a water source the stems will get soggy and fall out of place. Yeah, so with dried flowers, obviously, they're dried, they don't have any moisture in them. So when you're using them in fresh flower arrangements, you want to create an artificial stem for them by picking and wiring and taping them. You cannot put glycerin-dyed product, glycerin dried or dyed product in water. It's very important because the dye will leech off of it. You don't want it getting on anyone's dress or clothing, or tabletops. Make sure you wire it and tape it, taping will seal it. If you use wire, make sure you're using always taped wire, 'cause wire can rust in the water. Or use a wooden cowipick, the little wooden plant picks with little wire on it, and you can tape it on. Roger: I love working with unique floral and doing things a bit out of the box in regards to fresh arrangements. I tend to forage the landscape for bits of added interest to those creations. My question is, when using fresh sprigs of berries, ie, beauty berries, liriope, bittersweet, holly, etc,, what is the best way to keep the berries from falling off the stems. besides not brushing up against them? The trick is harvesting at the right time. If berries ripen too far on the stem they don't hold well. This gives you a limited window for any given plant. Foraged items are also subject to frost damage and other environmental conditions that can affect their stability. If possible, try targeting the hardier plants like rose hips, hypericum, liquid amber, blue viburnum, callicarpa, and tallow berry. These tend to be pretty sturdy landscaping plants that have berries that hold better. Holli: How do you attach flowers to a stucco wall? Some venues have a stucco wall for the “altar” and I have seen photos of large installations on the wall. @themrsbacia: Also, you can give some tips for home decorating (autumn/Thanksgiving). I think it will be interesting for people. Sure! I think using gourds as vessels instead of just pumpkins makes for a unique design. Drieds are very popular again and incorporating those with fresh gives a very textured look for fall. Carve out apples for votives or cider. Make garlands out of autumn leaves for the table. Using a clean neutral palette is modern-whites, creams, and greens or go funky with Thanksgiving “Pinks” muddy mauvey tones instead of the typical orangey fall colors. Wheat placed in wine bottles makes a very clean understated look as well. Barbara: When working with floral foam, specific flowers are more challenging. What is the best method of insertion for Amaryllis, Calla Lilies and Hydrangea? I have generally pre-inserted a stem so that the soft or hallow stems to do not get clogged, but is there a better, newer method? Pre-inserting a stem to create a hole is a tried and true method. Just make sure your stem is secure and not wobbly and the oasis is soaked. It helps with Amaryllis to insert the hollow stem with the cut stem of another flower ( tuberose works great for this) and then using oasis floral tape around the base to keep it from splitting or in the case of callas from curling. I find using chicken wire and cutting it open helps support these heavier stems as well. Barbara: Working with Amaryllis, I have used wooden and plastic dowels with wet cotton pushed up to the base of the hollowed stem, near the flower head, which is better, wood dowel or plastic? Either medium is great to add support, I like that you add wet cotton to keep some moisture and also prevent the dowels from puncturing the stem walls. Courtney: How to do arch installations foam free. J E: How can I become a retail seller and how to buy from wholesalers? Depending on your state and country: First, you must apply for a business license, usually post your intent in the local newspaper and then obtain a seller’s permit. Once you have established those two things you should also start your social media presence and portfolio. We like to see that a business is, in fact, a floral related business when registering with us. After that, you can simply go to our website and register and submit your resale license. Erica: Do we need to build an email list? Girl, yes, you need an email list! You need some way to track all of the incoming leads that you have, and build a database, so that way you can communicate with people. And I'm not sure what part of the business you're in, but if you're a retailer, like a traditional retailer, and sales everyday types of things, you want to be able to communicate. And email is not dead, it's still very important. But as you're building an email address, then think about other ways that people like to communicate, whether that's messaging, or through the social media type of thing. But always collect email addresses, always create that list, so that way you can reach out to people. Because it does help. And even with, for example, our things that we do, people want to know about all the different specials, so, and our new blog posts, they can subscribe to that, we send out the newsletters, all the great content, if we create a new download, we need to make sure that people know about that. So, and the same goes for your businesses as well. Claudia: Have you set up the new list of workshops for the 2019 year yet?